With the accelerated pace of contemporary life, brought about by urbanization, new technologies, cheap travel or what has been termed globalization, space is expanding whereas time is shrinking. Svetlana Boym suggests this has led to a contemporary nostalgia that is not only about the past but 'the vanashing present'. Rather than a longing for place, there is a reflective yearning for a different time, or 'the slower rhythms of our dreams'. 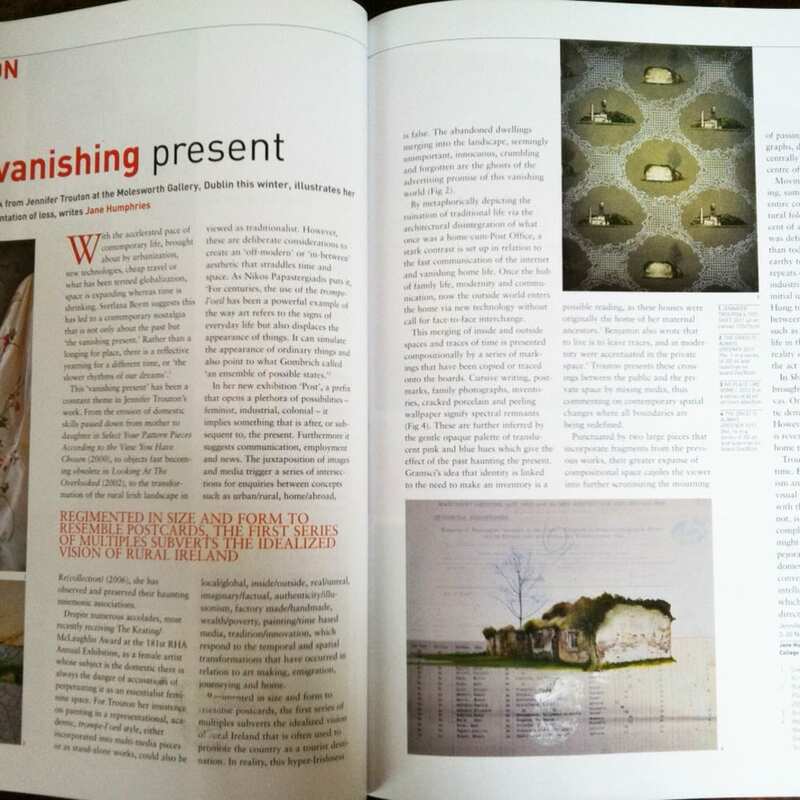 This 'vanishing present' has been a constant theme in Jennifer Trouton's work. 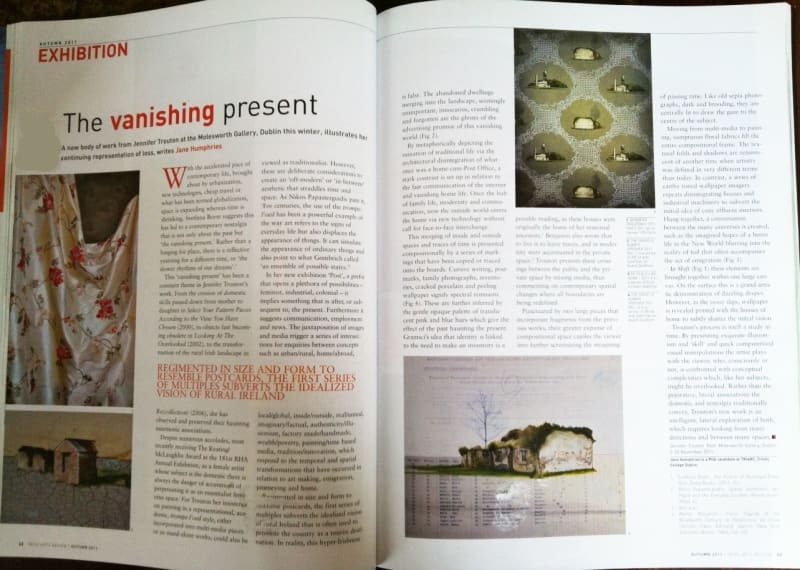 From the erosion of domestic skills passed down from mother to daughter in Select Your Pattern Pieces According to the View You Have Chosen(2000), to objects fast becoming obsolete in Looking At The Overlooked (2002), to the transformation of the rural Irish landscape in Re(collection) (2006), she has observed and preserved their haunting mnemonic associations.